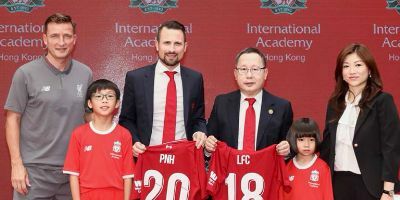 Last weekend saw the LFC International Academy Hong Kong official launch take place in Olympian City, Hong Kong. The launch was attended by former Reds’ player Vladimir Smicer who of course starred in the European Cup Final of 2005 in Istanbul, scoring in the final. The two-day launch event included a press conference and a 3 vs 3 youth football tournament, played in Olympian City shopping mall, organised by partners PNH. Below is a gallery of images from the event. Click here for more information about LFC International Academy Hong Kong. © Copyright 2018 PNH Soccer Academy.